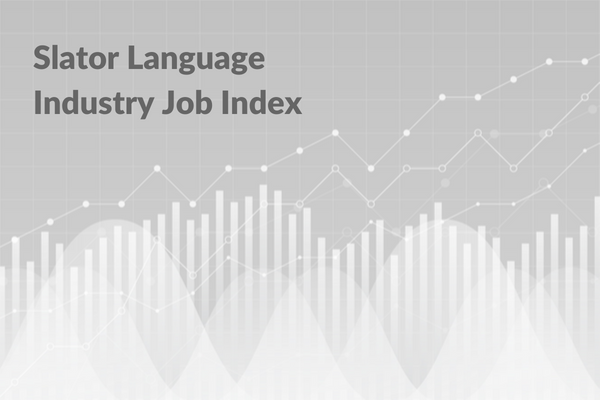 Welcome to the first edition of the The Slator Language Industry Job Index (LIJI). 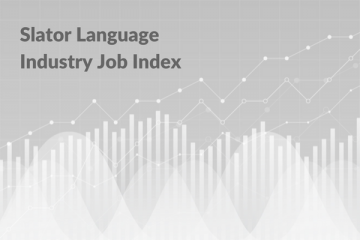 The Slator LIJI is an index published on a monthly basis and has been developed for the purpose of tracking how employment and job growth (or contraction) are trending across the global language industry. The Slator LIJI relies on LinkedIn for a substantial part of the underlying data. The site has some 500 million users, many of whom share data about their skills, experience, location, company and job title on their personal LinkedIn pages. The site has over 600,000 profiles under its Translation and Localization category and a search for the keyword Localization also yields over 600,000 profiles. 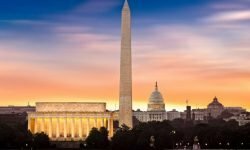 In addition to using data from LinkedIn, the Slator LIJI is based on data from a range of sources including global job aggregation sites, and additional direct company data collected from Slator LSPI companies. The different data are weighted to create a model that reflects the relative meaningfulness of each data point to overall job activity in the industry from both the vendor and buyer-side. The model should therefore represent an accurate picture of how employment and job activity is trending across the industry. The baseline is taken to be July 2018 (100), and an index figure for job activity will be assigned each subsequent month. Therefore, the July 2018 index figure can be used as a baseline from which to measure expansion or contraction of employment across the industry. The August 2018 index stands at 100.74, showing a slight expansion for employment activity in the industry vs last month (July 2018). This is also consistent with observational trends from July 2018, such as active M&A among some of the major language service providers, and increased demand for language resources as a result of major translation deal wins. The Slator LIJI will be a useful resource to language industry stakeholders such as service vendors, buyers, consultants, technologists, and investors when used in conjunction with Slator’s online news service and research, including our recent M&A and NMT reports. The LIJI also provides an expandable building-block approach, as we deepen coverage geographically and within industry segments, such as the Financial Industry.